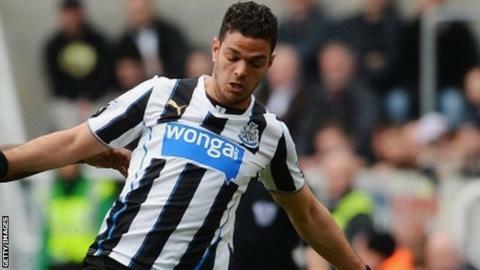 Hatem Ben Arfa has revealed he will miss Newcastle's game at Arsenal. Ben Arfa has been struggling with a thigh injury, although he has also been at the centre of speculation about his future in recent times. The 27-year-old Frenchman revealed on Instagram that he has not been included by manager Alan Pardew for the trip to the Emirates Stadium on Monday. "The manager didn't pick me in the group to go to London for the game against Arsenal," he said. "It is not a problem. I hope my team-mates will win at the Emirates Stadium to make our fans happy." Ben Arfa, who was signed permanently from Marseille in 2011 after impressing on loan, has made 27 appearances in the Premier League for Newcastle this term, but he has scored only three goals and has not found the net since December.